Seeds of Life has established a weather station in Oecusse that readers can access for up to date data on rainfall, temperature, humidity, wind speed and radiation. 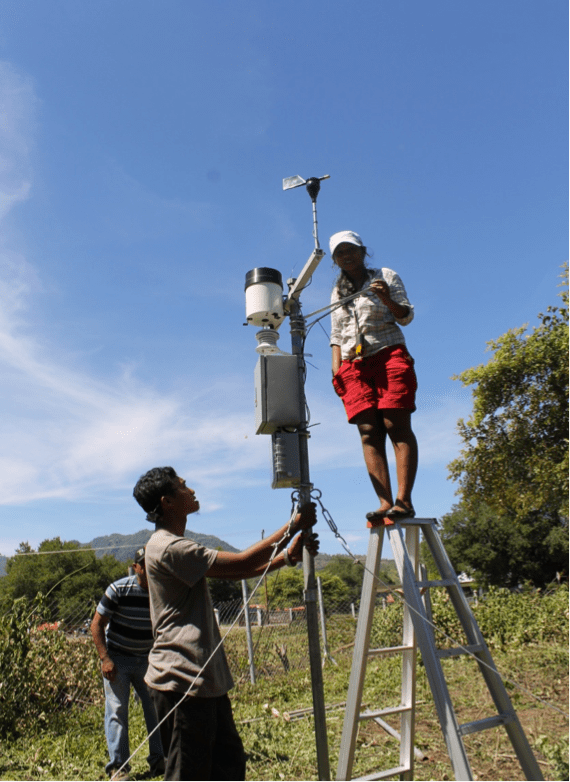 The weather station updates every 3 hours and is the second of its kind in Timor, with the first being established in Atauro in January. You can access the link by clicking here or through the Climate Data page of the Climate Change section of our website. Seeds of Life worked together with the National Directorate of Meteorology and Geophysics and the Department for Agriculture Land use and Geographic Information Systems to set up the new station. SoL and ALGIS staff work together installing the weather station at the Pante Macasar airport in Oecusse. The new development comes after SoL’s program launch in the Oecusse district in April. Oecusse’s hungry season can be quite long and each year the majority of farming households face 3-4 months of food insecurity when food stocks run out and the next season’s crops have not yet been harvested. This problem is compounded by transportation issues in the district. “There are 19 Suco Extenstion Officerss working with farmers in 18 Sucos in Oecusse but not one of them has access to a motorbike. This is one of our biggest challenges that we’ll be looking to solve soon,” SoL’s Community Seed Production Advisor, Buddhi Kunwar, said. But there are many opportunities for increased food production in the enclave too, the communities are enthusiastic and the farmers are interested in improving their capacity. Oecusse is the 11th district in SoL’s program. SoL plans to cover all 13 districts supporting at least 1000 Community Seed Groups.